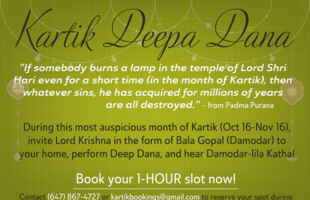 Invite and Honour Lord Damodara in Your Home ~ The Toronto Hare Krishna Temple! During this most auspicious month of Kartik (Oct 16 to Nov 14), you can invite Lord Krishna in the form of Bala Gopala (Damodara) to your home, offer beautiful lamps and hear about wonderful stories of baby Krishna. 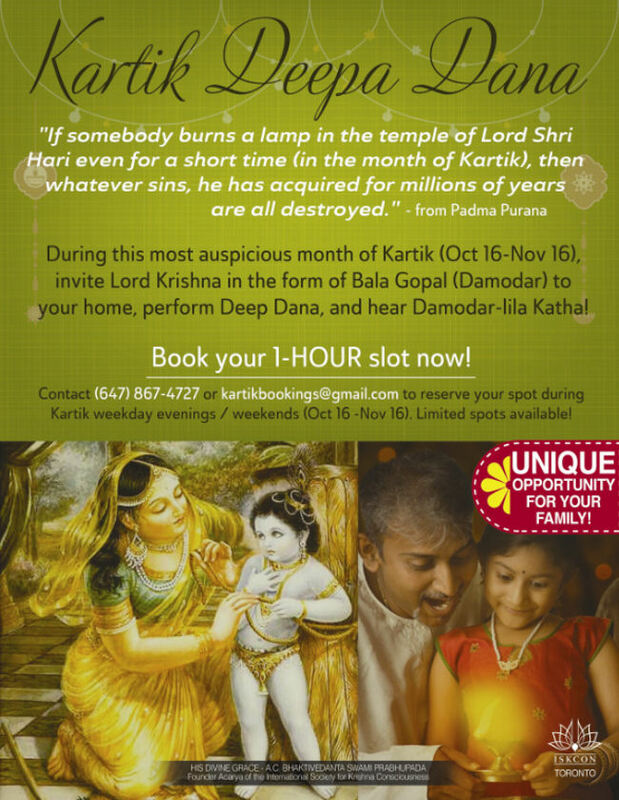 Hare Krishna, there is a typo in the phone number in the article.